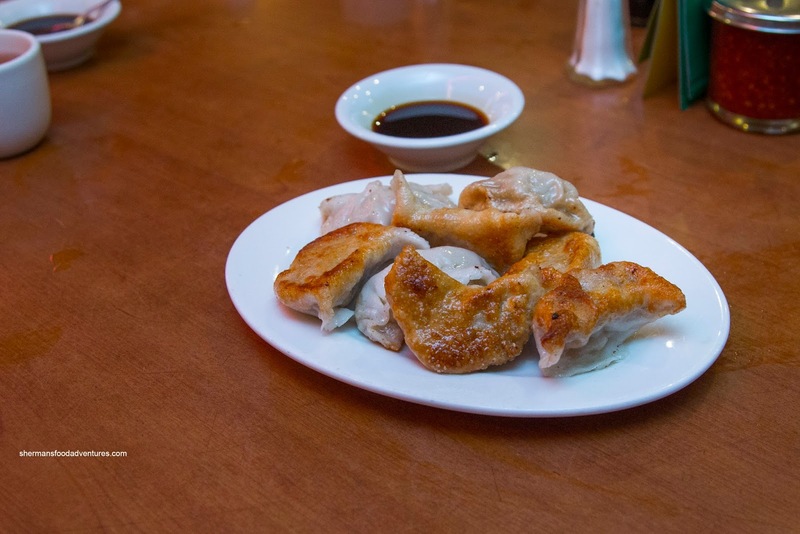 The last time we visited Joe's Shanghai in New York's Chinatown, we came away mildly happy. 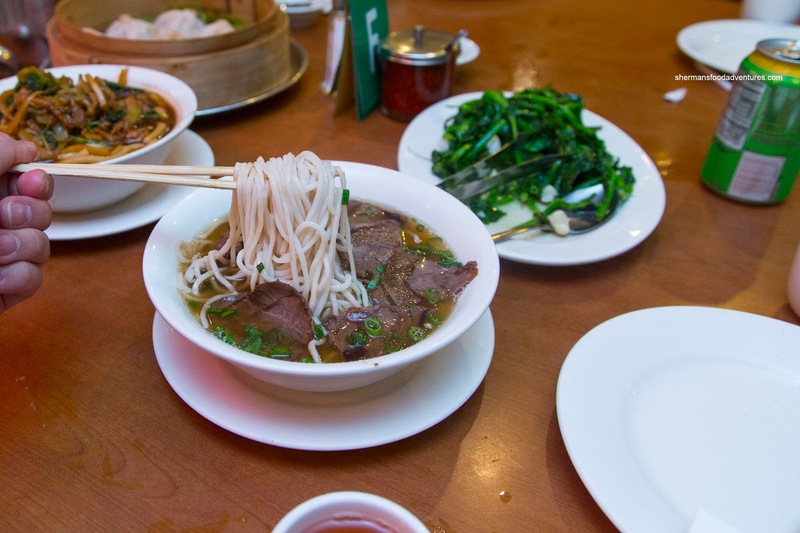 You see, since we are spoiled silly by the great Chinese food in Vancouver, everything else pales in comparison. To be fair, we've had some really good Chinese food elsewhere, but in general as a whole, the best we've had is in Vancouver, specifically Richmond. 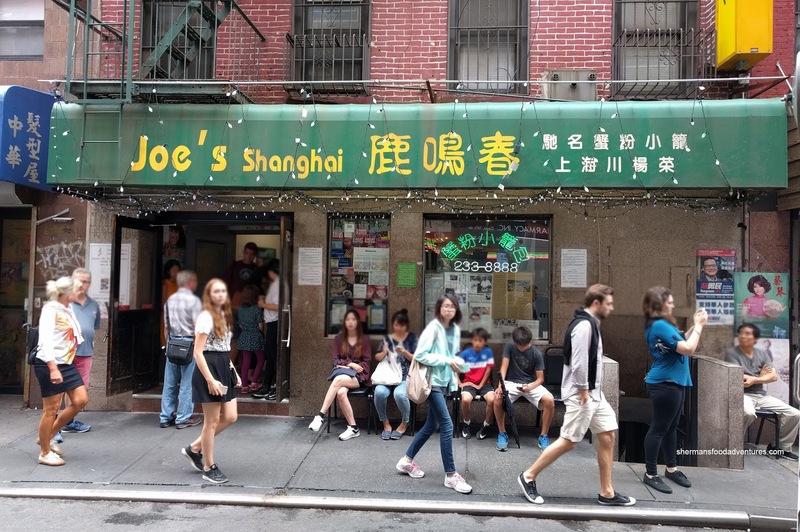 So this time around, Joe's Shanghai was not on the itinerary. Yet, as things turned out, we ended up at Joe's Shanghai since it was convenient and the kiddies were missing Chinese fare. So the one dish that Joe's Shanghai is famous for is the Xiao Long Bao (soup dumplings). We got 3 steamers since the kiddies love them. 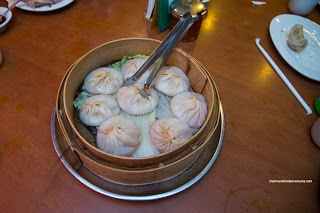 Much like our last encounter, we found the dumpling skin to be on the thicker side, especially at the top. With that being said, it wasn't doughy or anything like that. There was a considerable amount of soup which was slightly sweet and savoury, but no other distinguishing flavours. The meat filling was tender and moist. We also got the Pan-Fried Dumplings which were seared up crispy on the bottom. They didn't ease up on the grease though. I found the skin to be thick and doughy though. Again, the filling was good though being moist and tender. We decided to get a mix of cold appies as a plate of 3 options. These included Soya Duck, Vegetarian Duck and Jellyfish. Meaty and nicely gelatinized, the duck was on the saltier side, but not devoid of other flavors. We found the texture to be on point while the skin was fairly rendered. 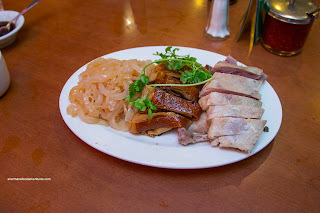 The bean curd skin of the vegetarian duck was a bit on the chewy and harder side, but okay. Inside, the abundance of shiitake were sweet and buttery, yet everything fell apart. With a buttery snap, the jellyfish was well-marinated being balanced between sweet and savory. 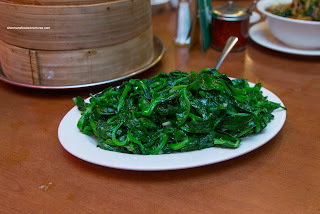 Since we were devoid of veggies in most of our meals, we went for the Sauteed Pea Shoots with Garlic. These were good being crunchy and nicely seasoned with whole chunks of garlic. We ended off the meal with 2 noodles including the Shanghainese Soup Noodles and Beef Noodle Soup. 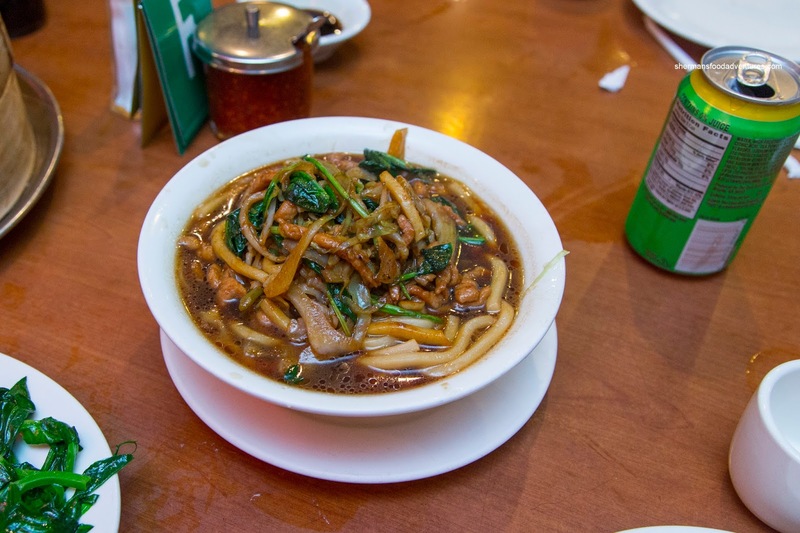 I enjoyed the former more as the soup was flavorful with a certain meatiness and silkiness. The thick noodles were al dente and had soaked up some of the dark soy flavours. On top, the mix of meat and cabbage was on point with crunch and tender meat. The beef noodles were okay, but the biggest issue was the meat itself. They used sliced beef shank rather than specifically made meat for the dish. It just wasn't substantial enough or robust. Noodles were okay and soup was pretty mild. 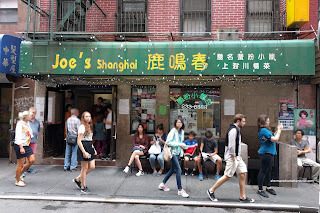 So did this visit change our feelings about Joe's Shanghai? Not really, but it is still decent. We just don't believe it is a must-visit for out-of-town visitors.